Inside our beautiful Victorian building, you will find a warm and welcoming 3 star guest house. We offer 16 bedrooms able to accommodate between 1 and 4 guests, a modern dining room where we serve our delicious home cooked breakfast, a relaxing licensed bar, free wifi and FREE secure parking. Everything you could need to enjoy your time in Blackpool and a real home from home. The Wilton Hotel is located between South and Central Piers, on a quiet street away from the hustle and bustle and traffic but only a minutes walk to the promenade. 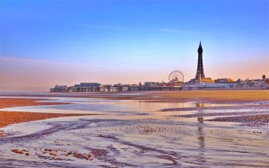 The Pleasure Beach, Sandcastle Waterpark, The Blackpool Tower, Town Center and Sealife Center are all an easy 10 to 15 minute walk away and are all easily accessible using the buses and trams which are to be found at the end of the road. We are also within an easy walk of The Crown Green Bowling Club on Waterloo road and an easy drive from many beautiful golf courses. 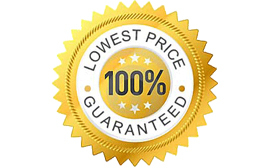 When you book direct with us over the telephone, we guarantee you will receive the best price available at the time of booking.